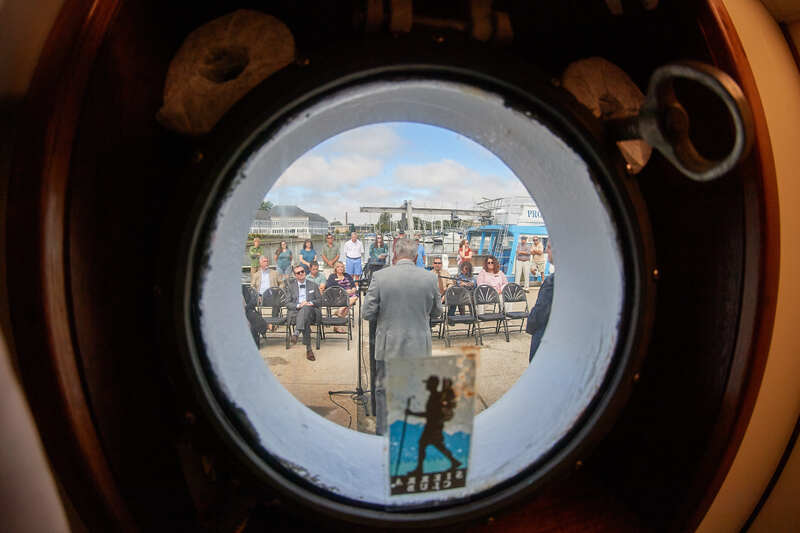 The UConn Avery Point Campus was a buzz on Thursday as the university celebrated the recommissioning of its 19-year-old research vessel, the R/V Connecticut. In attendance were key faculty and staff from the Avery Point campus along with President Susan Herbst, Provost Craig Kennedy and local state representatives. 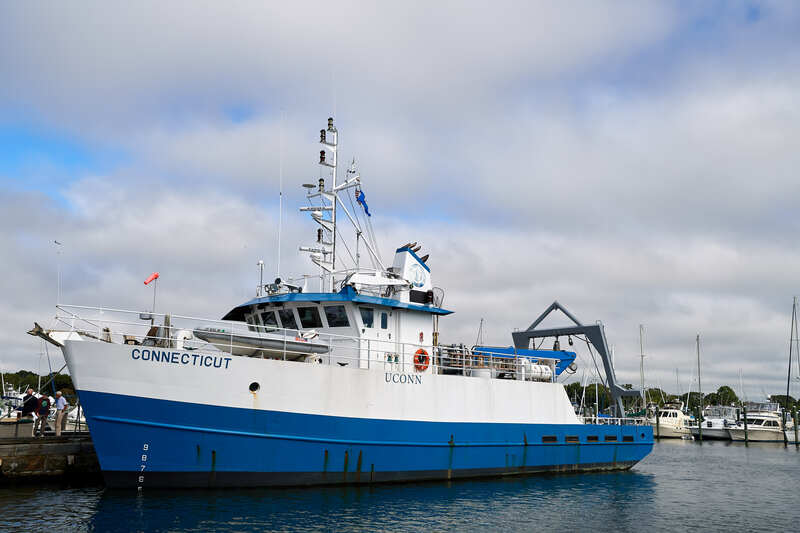 Over the last year, the R/V Connecticut was decommissioned and underwent extensive work which included increasing its length from 76 feet to 90 feet. This expansion allowed for a doubling of laboratory and storage space and an increase in the number of sleeping quarters from 12 to 18. Due to these renovations, the ship can now undertake missions lasting up to two weeks. As noted by President Herbst, these improvements are significant as the R/V Connecticut not only serves the university’s research needs but is essential to marine research operations for many state and regional organizations. 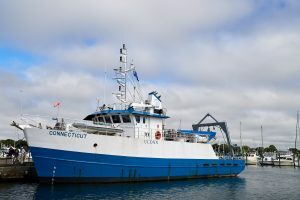 As one of the few vessels of its kind on the east coast, the R/V Connecticut boasts a charter list that includes the U.S. Navy, the Woods Hole Oceanographic Institution and the National Oceanic and Atmospheric Administration (NOAA). The R/V Connecticut is also an essential part of the research community at Avery Point. The vessel has been key to fulfilling the department of Marine Sciences’ commitment to quality oceanographic research. Over the last 18 months, faculty from the department have received over $10 million dollars in federal and state funding, making the department one of the most successfully funded at the university. Head of the Department, Dr. Evan Ward emphasized that the improvements to the R/V Connecticut will further the growth and excellence of undergraduate and graduate research within the department. Students at the Avery Point campus will not have to wait long to benefit from the upgrades. A new interdisciplinary graduate course began this fall and included a three-day, two-night cruise out on Long Island Sound. The expedition will provide hands on, integral research experience and is just a glimpse into the exciting opportunities that lie ahead with the improved Research Vessel Connecticut.